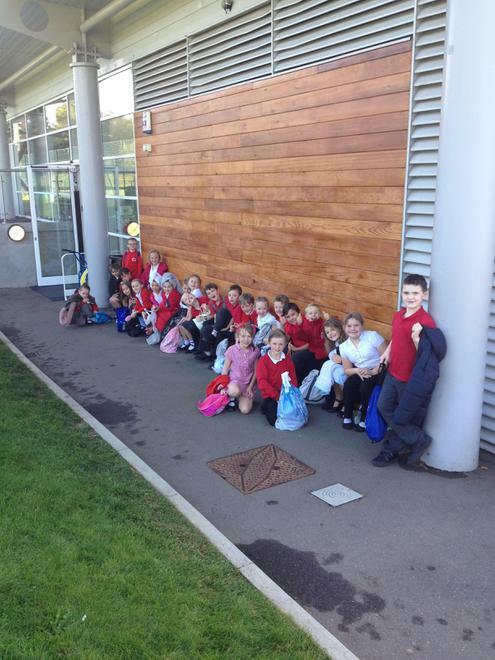 Last week Holly Class went to Churchers College for our first swimming lesson. First we did an assessment so that we could be put into groups. Then we all swam a width of front crawl. Next we all got into the pool in our groups. After that we swam front crawl, backstroke and breaststroke. We all had a great time. At the end of our lesson, we had five minutes of awesome fun, when we were able to join our friends and play with all the floats. Finally we got out and got changed so we could go back to school. I thought it was a lot of fun because I love swimming. Written By Indie, Year 4, Holly Class.